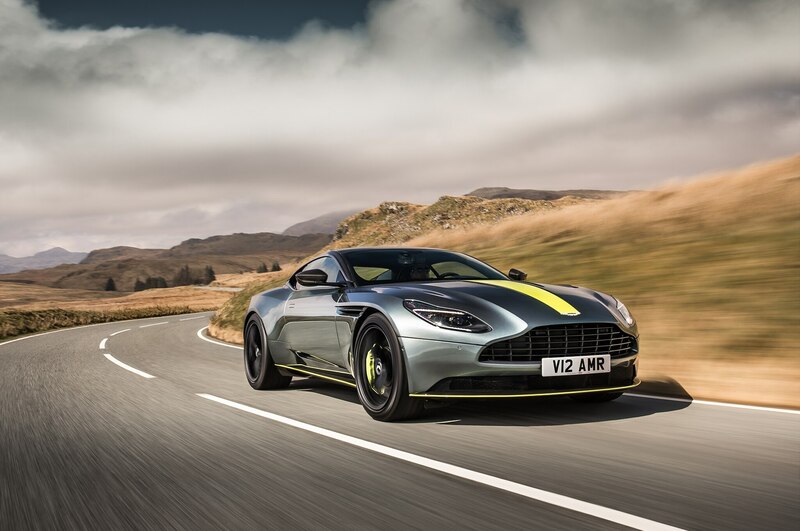 The 2019 Aston Martin DB11 AMR Signature Edition is the marque’s latest top dog and starts at $241,000 if you want to take it for a spin. 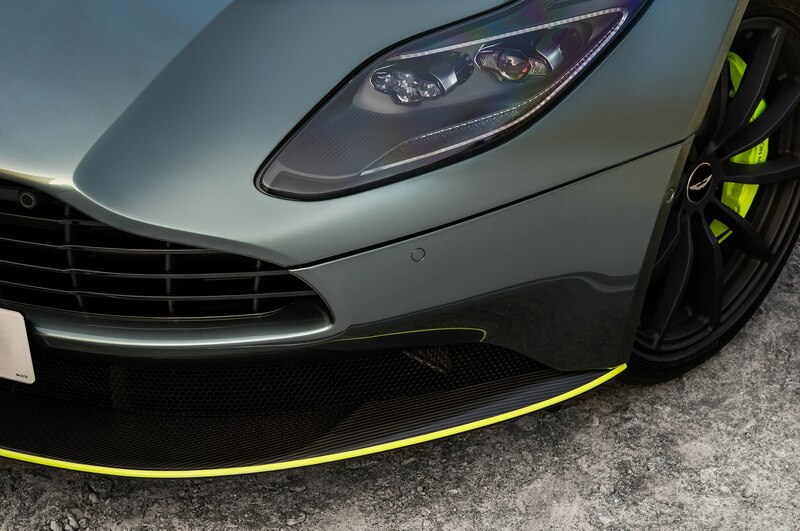 It was revealed at a brand spanking new Aston Martin Racing (AMR) Performance Center at the Nürburgring. 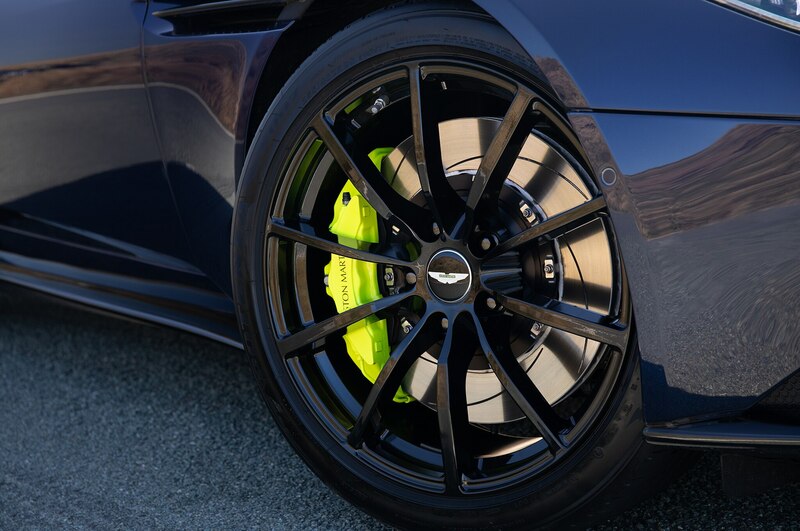 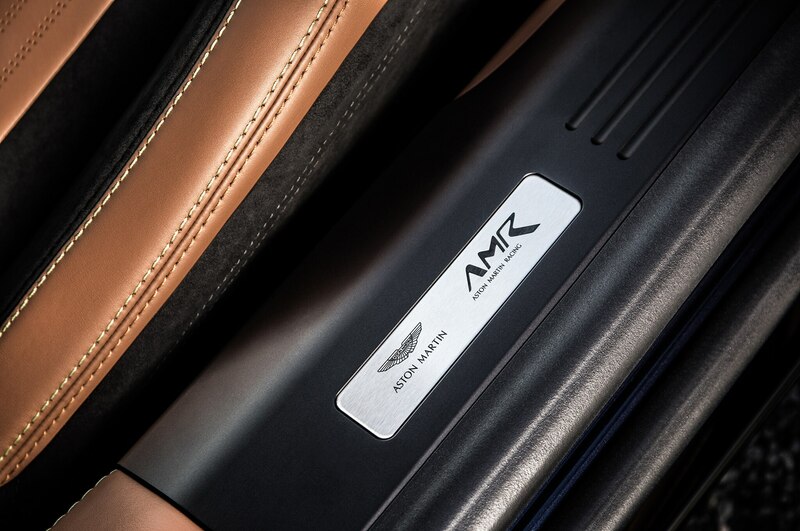 AMR’s new race-inspired edition DB11 packs a new twin-turbo 5.2-liter V-12 engine that delivers 630 hp (30 hp more than a regular DB11 V12) and 516 lb-ft of torque. 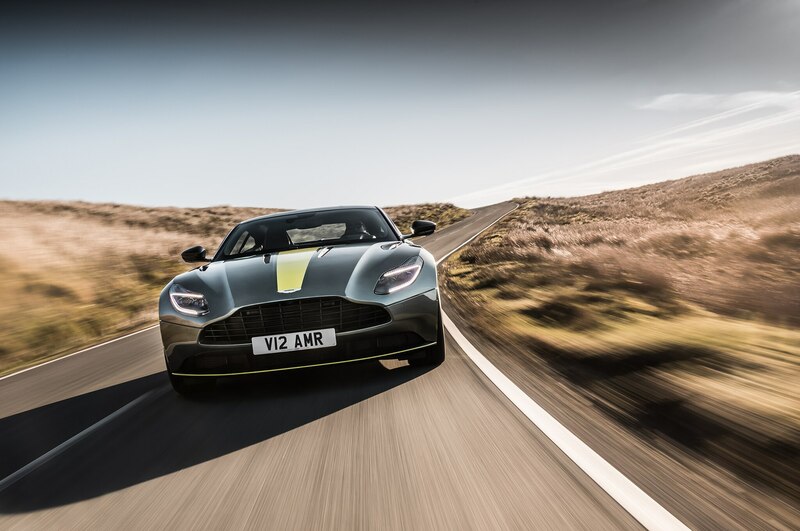 Along with the power boost, top speed increases by 8 mph to 208 while the 0-62 mph time dips to a super quick 3.7 seconds—an improvement of 0.2 second, say AMR eggheads. 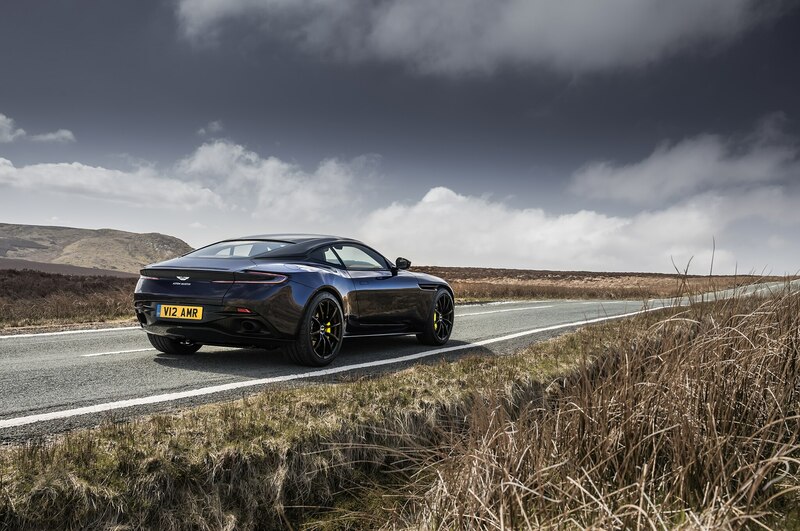 “Since its initial launch back in 2016 the DB11 range has matured rapidly and intelligently, selling close to 4,200 V12 examples in that period. 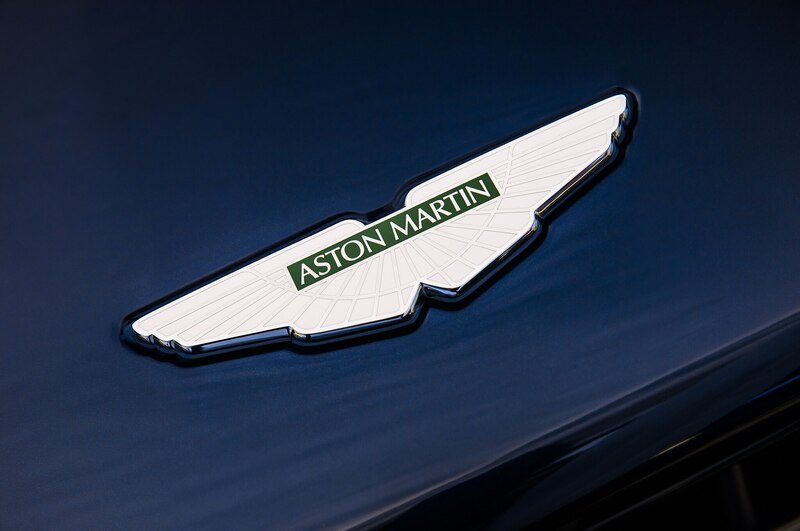 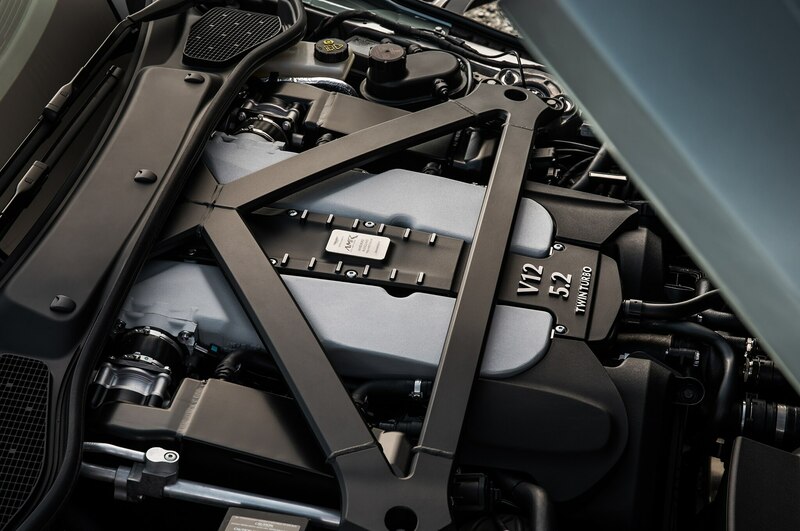 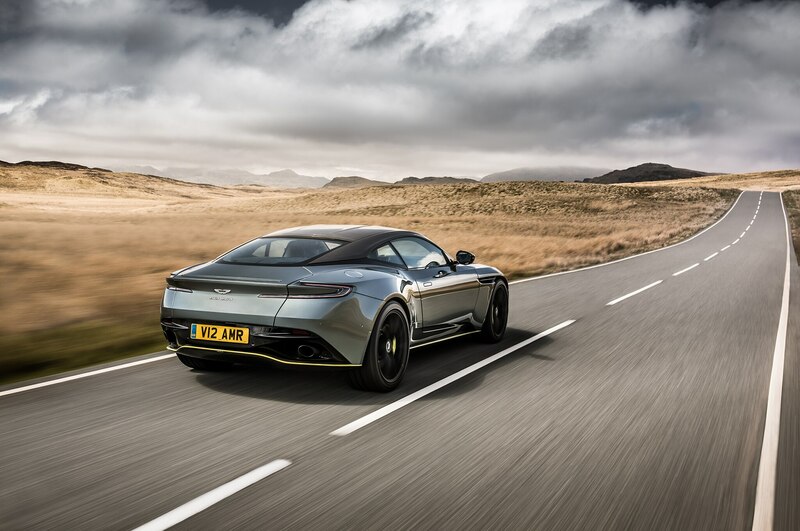 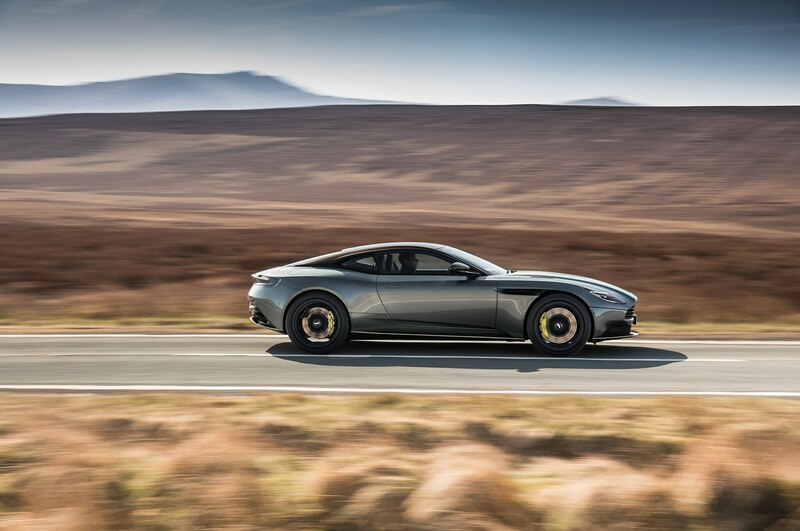 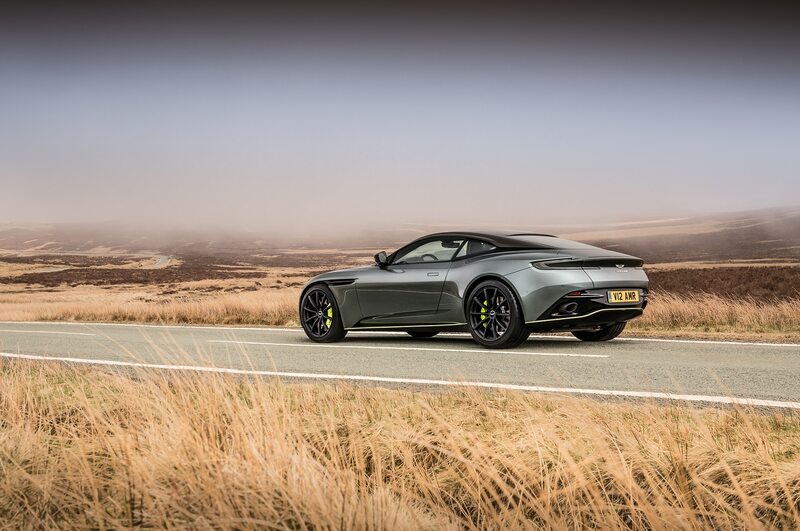 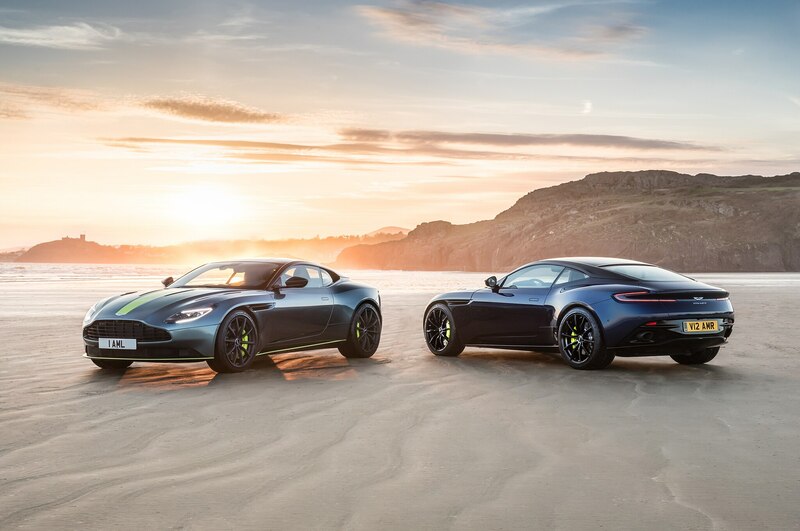 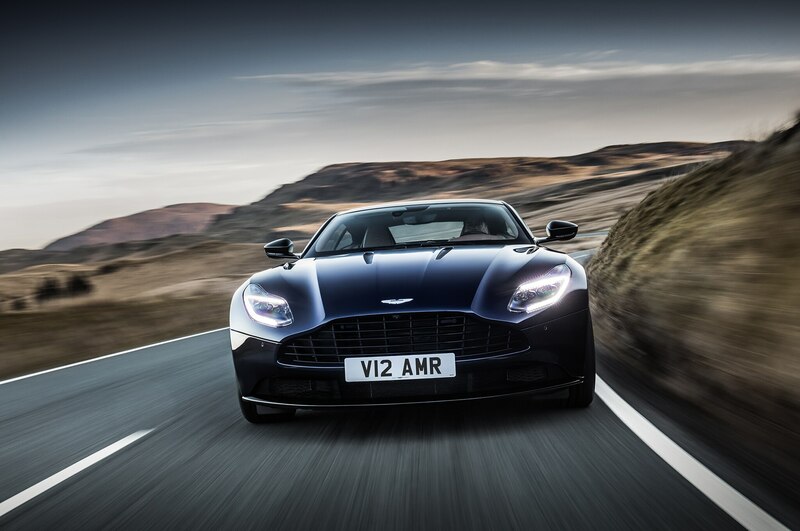 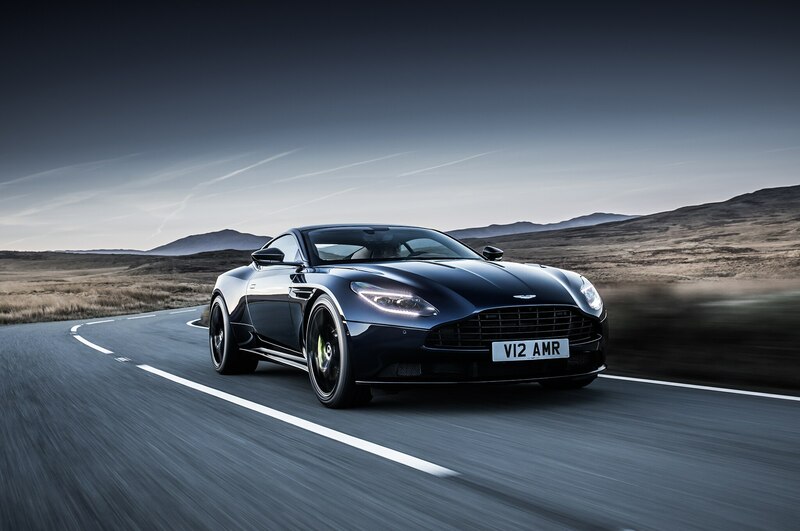 With the exceptional V8 Coupe and Volante we felt the V12 could reveal more of its sporting potential, while remaining the consummate GT,” said Andy Palmer, Aston Martin president and CEO, in a statement. 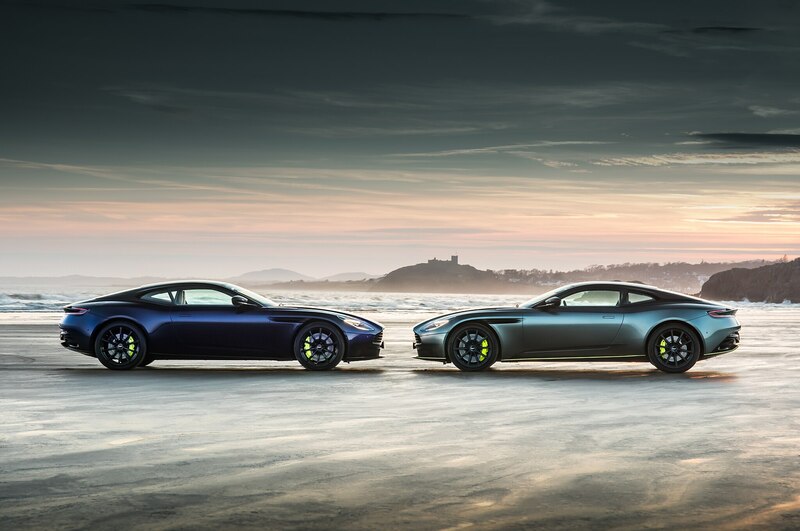 The DB11 AMR Signature Edition joins the Vantage AMR and AMR Pro. 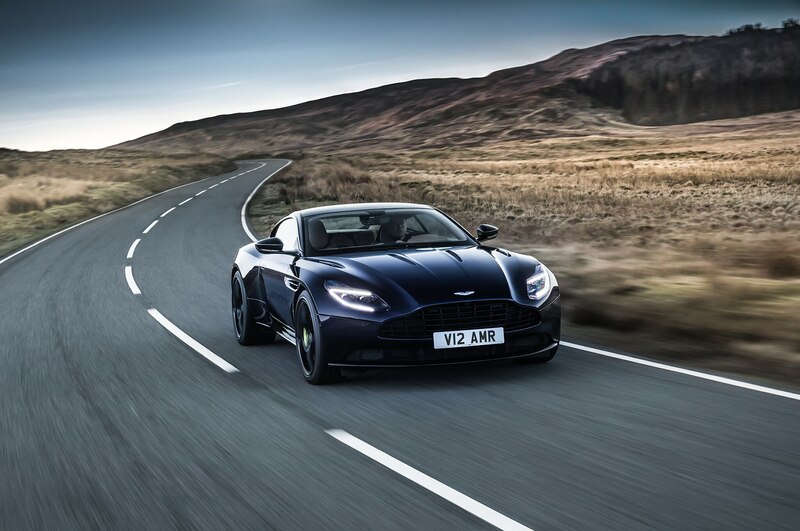 A Rapide AMR is up next we are told. 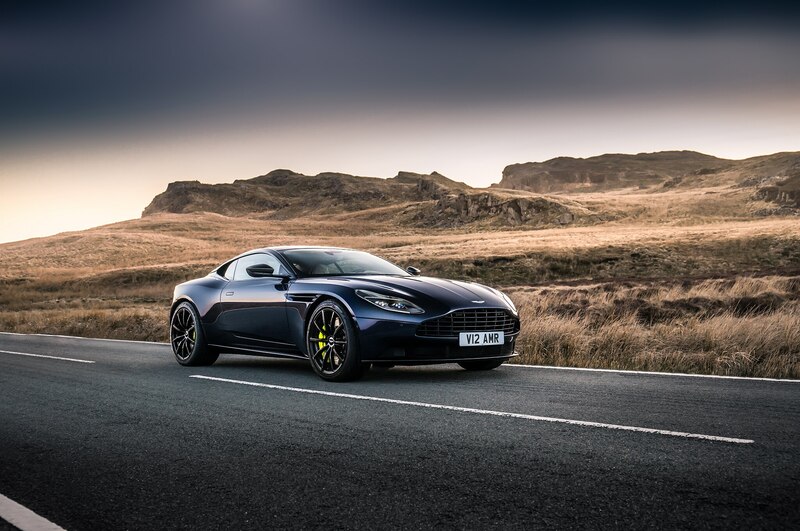 Visually, the special edition DB11 sports a monochrome treatment all over with a dark front grille, dark headlight surrounds, and carbon-fiber hood blades. 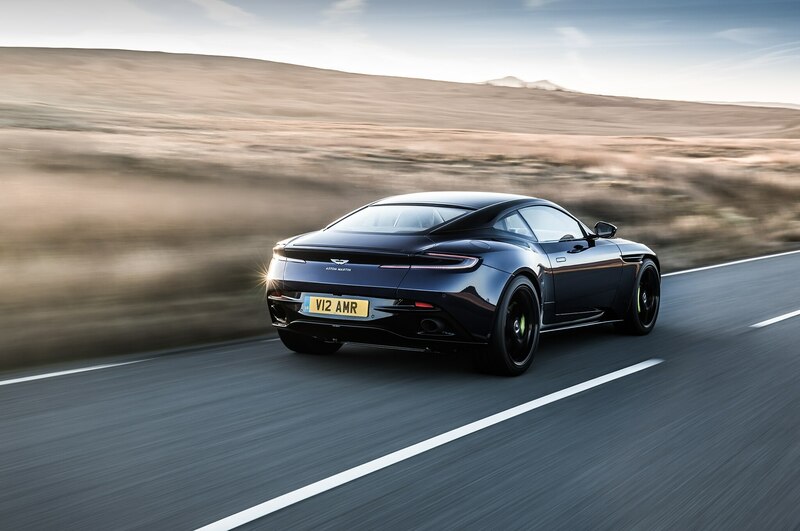 The roof is gloss black and around back gets smoked tail lamps and tailpipes. 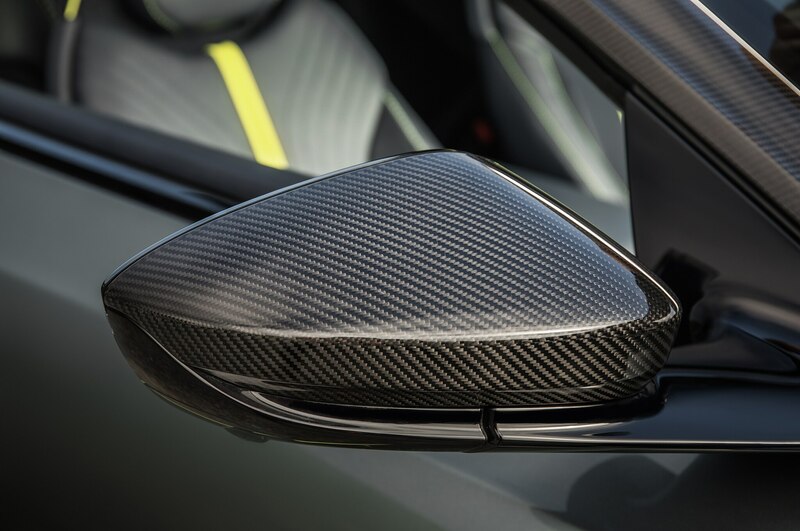 Inside, it gets plenty of carbon fiber and gloss black detailing to match the sporty exterior. 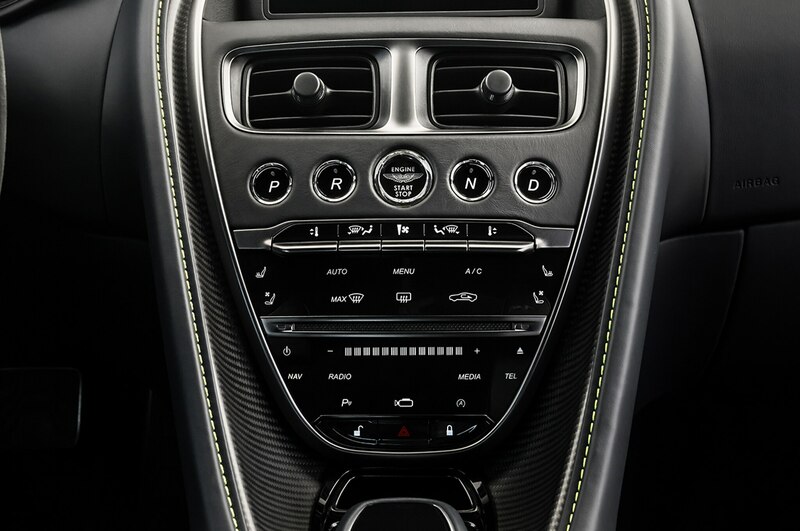 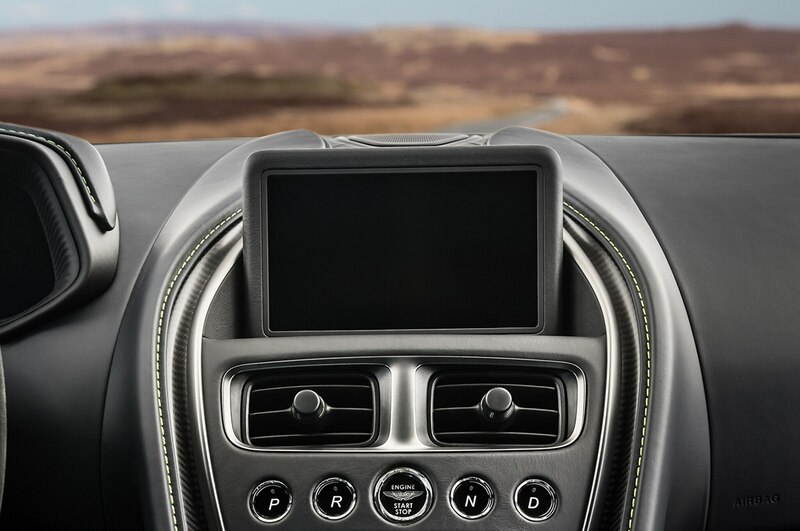 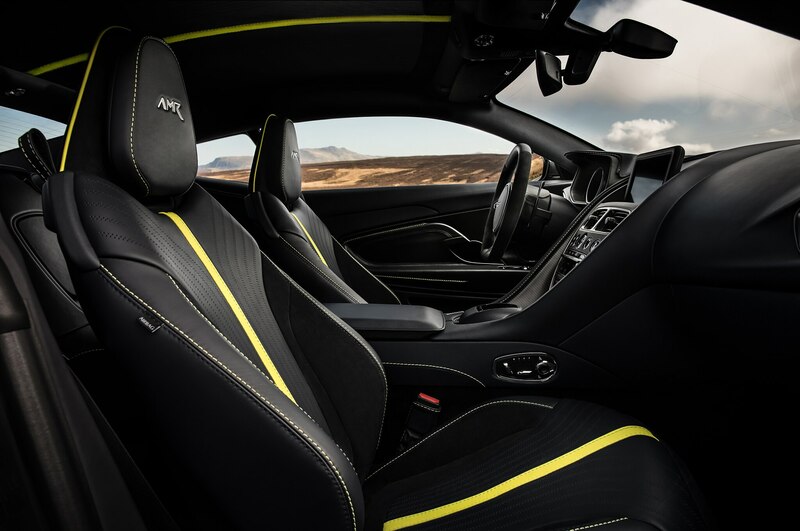 It features monotone leather and Alcantara upholstery, a bold central lime stripe, and a leather sports steering wheel. 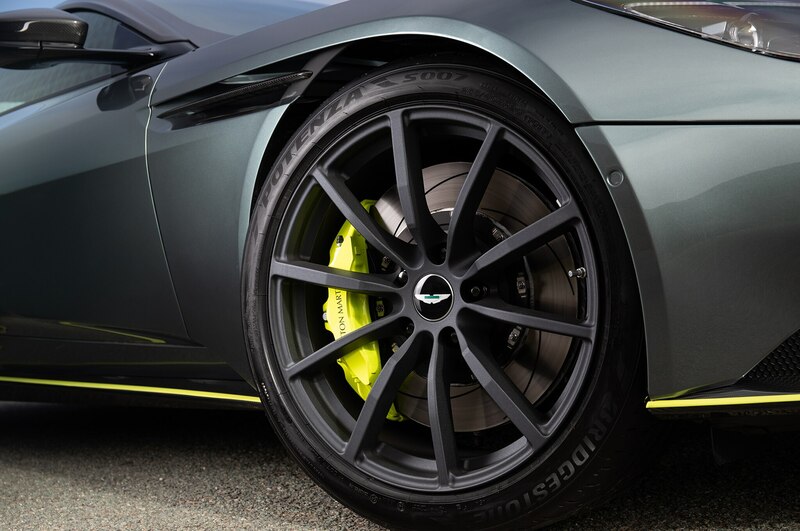 The DB11 AMR Signature Edition is also available in three Designer Specifications. 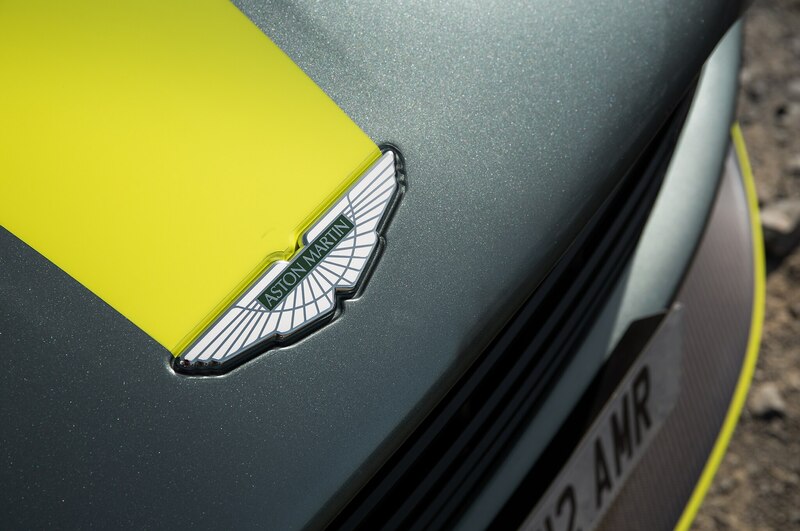 Also offered is a limited-edition model sporting AMR’s signature Sterling Green and lime livery. 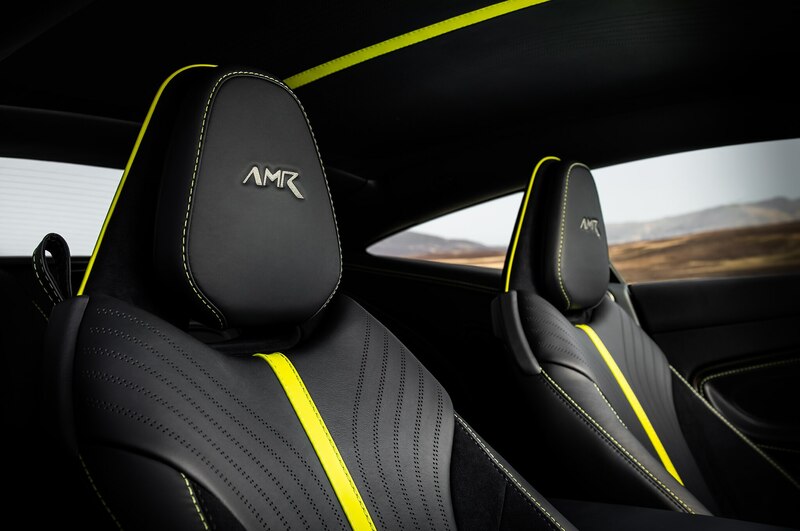 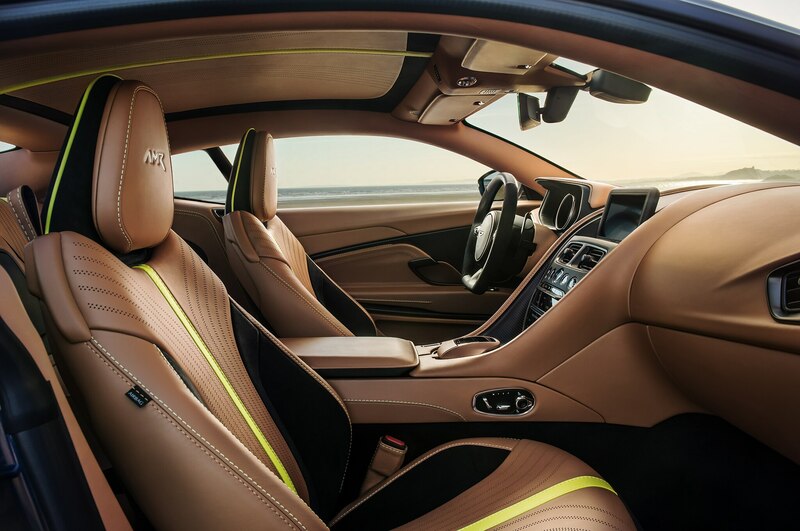 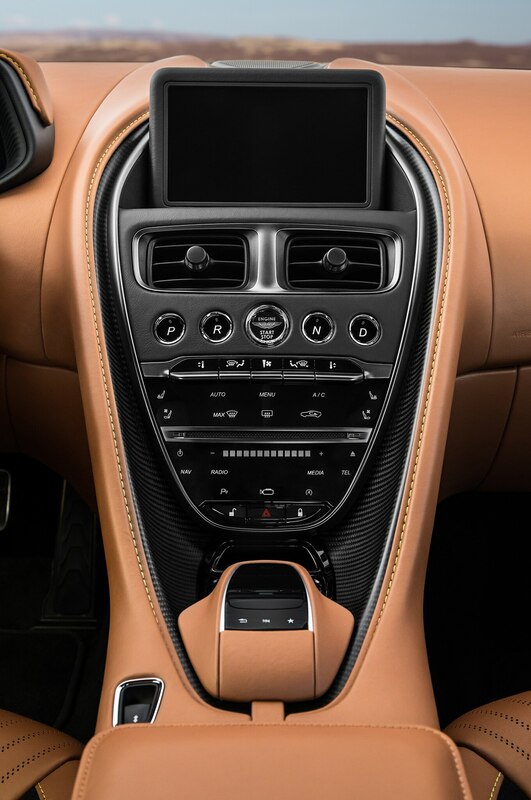 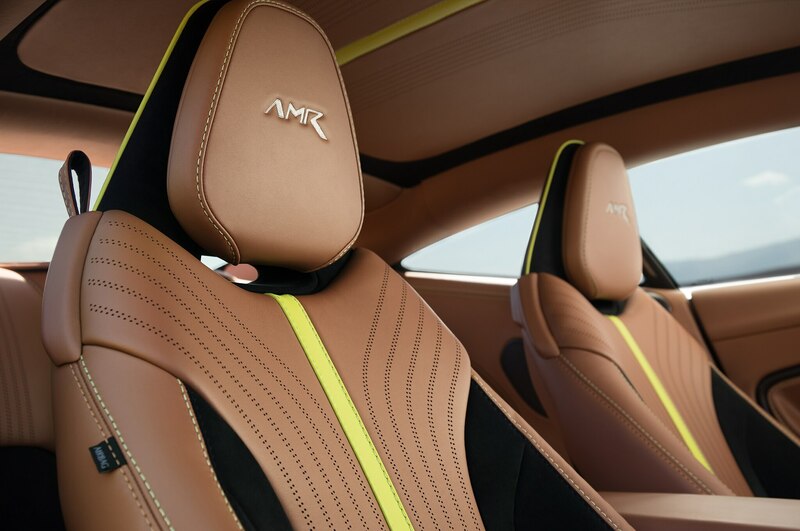 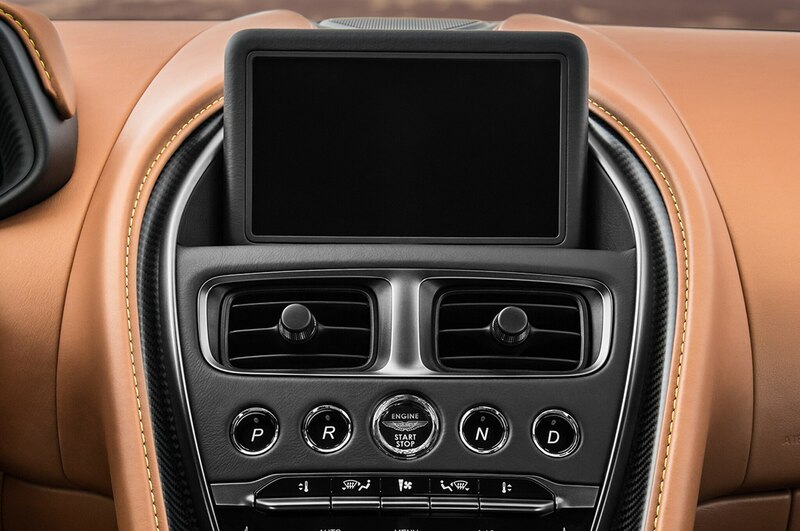 That model receives even more carbon-fiber goodies with Dark Knight leather and Lime detailing—plus, Satin Dark Chrome switchgear and Satin Carbon-Fiber trim. 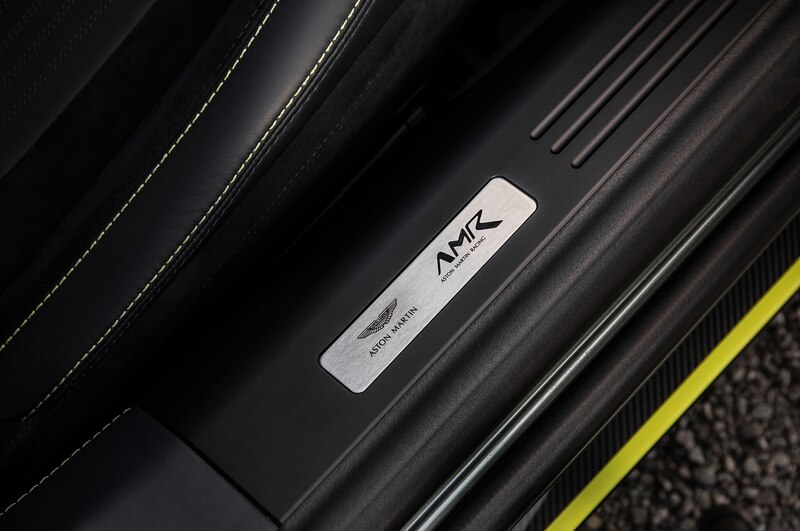 If you’re interested in 2019 Aston Martin DB11 AMR Signature Edition, know that it’s limited to 100 units worldwide. 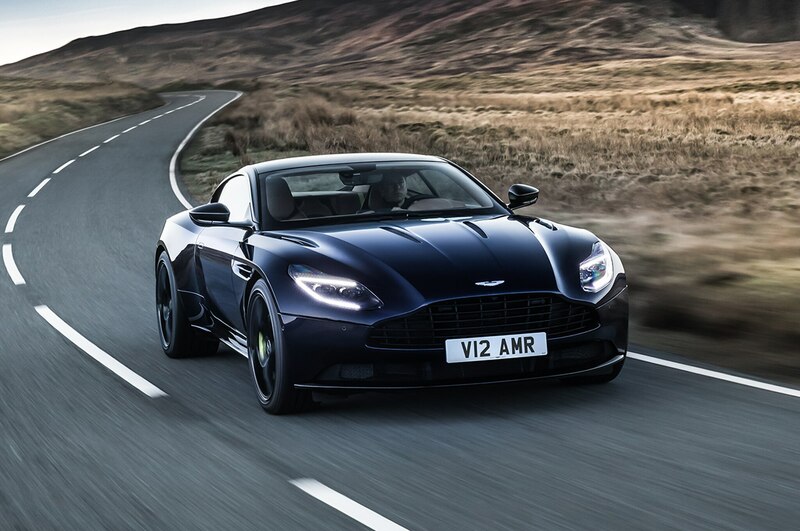 It is expected to reach buyers just in time for summer.